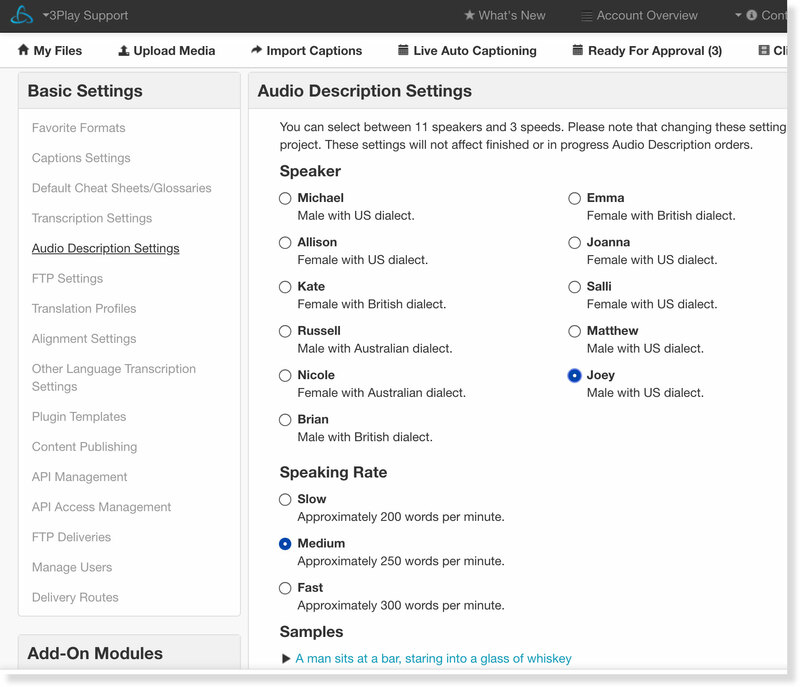 It is best practice to check your 3Play Media project's Audio Description Settings prior to ordering Audio Description. Follow the steps below to check and, if necessary, update the Audio Description Settings. Important Note: These settings are applied to an audio description request when the order is submitted. Changes to Audio Description Settings are not applied to any Audio Description requests that are in progress or are completed. Once logged into 3Play Media, click on Settings located in the upper, right-hand corner of the page. On the left-hand side of the Settings page, click Audio Description Settings located under Basic Settings. Select one of the eleven options for the speaker used in the audio description track. Please note that the audio description output uses synthesized speech. Select either the Slow (200 WPM), Medium (250 WPM), or Fast (300 WPM) Speaking Rate. You can use the sample function on the bottom of the window to preview your selections. 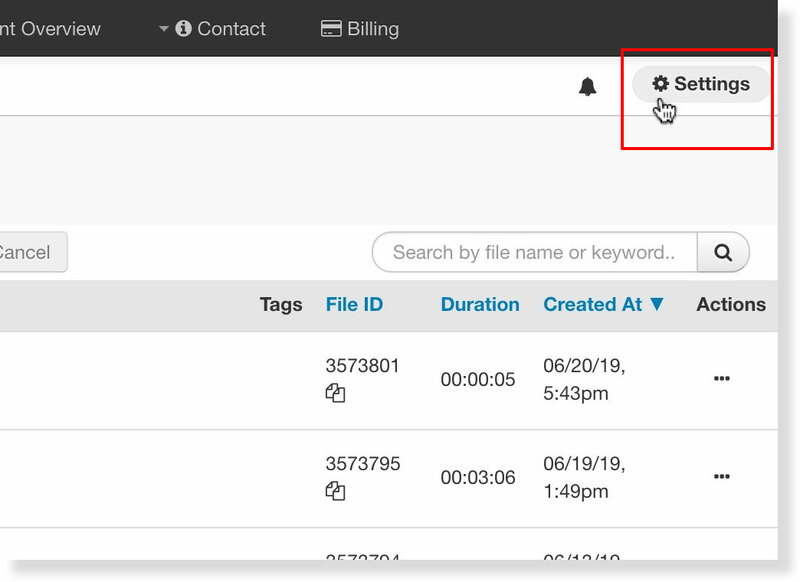 Once an Audio Description Setting has changed click the play button to left of one of the sample sentences to hear this sentence read back using the speaker and speaking rate selected. Click Save if new settings have been selected.